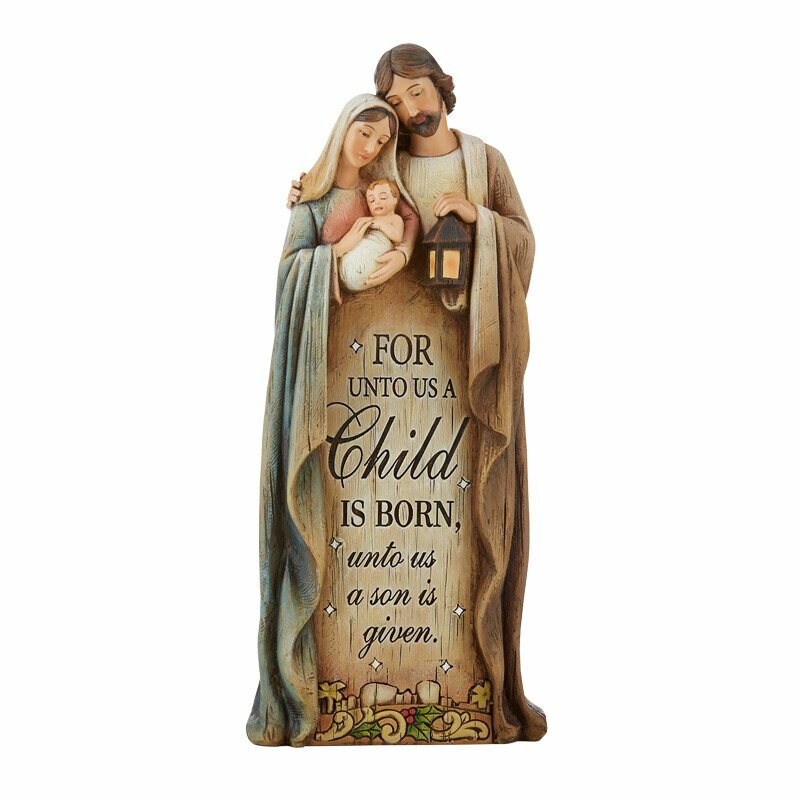 Avalon Gallery™ celebrates the Holy Family with this beautiful figurine. Each is finely crafted and designed to bring the Christmas story to life as we remember He is the reason for the season. Makes a perfect gift for just about anyone on your Christmas list. Gift boxed. Reads: For unto us a Child is Born, unto us a Son is given.